Chapter 7 Bankruptcy & Chapter 13 Bankruptcy, What is The Difference? What is the difference Chapter 7 and Chapter 13 bankruptcy? The following is a list of differences between a Chapter 7 and a Chapter 13 bankruptcy. While this list offers a general consensus of differences, it is still important to seek the guidance and support of an experienced bankruptcy attorney to fully understand the complete scope of either bankruptcy form. Bankruptcy rules and regulations can change, and a bankruptcy attorney will be your most useful resource when dealing with your financial dilemmas. A bankruptcy lawyer can also explain in full the difference between Chapter 7 and Chapter 13 bankruptcy. He or she can also advise you on which is your best option. A Chapter 7 form of bankruptcy is a straight form of liquidation. The ultimate goal of a Chapter 7 bankruptcy is to obtain a mandatory credit-counseling seminar within 180 days before the petition to file for bankruptcy is made. This type of bankruptcy is filed with a court. A court-appointed trustee will be appointed to administer the bankruptcy. Nearly all of a petitioner’s assets will be surrendered for liquidation and distribution purposes. This, however, will not include non-exempt assets such a person’s primary home and vehicle. All funds made from the liquidation of assets will be divided among all creditors, who will receive priority on the funds based on the rules and regulations established by the United States Bankruptcy Code. There are certain conditions a Chapter 7 bankruptcy petitioner must abide by. A debtor must pass a pre-qualification exam known as a Means Test. This test will determine if a person is eligible for a Chapter 7 bankruptcy based on that person’s income. Individuals who have a higher income than his or her state’s median income will have trouble qualifying for this type of bankruptcy. It is important to understand that discharge is not available if a person was discharged from a Chapter 7 bankruptcy in the past eight (8) years. This means that a person who has completed a Chapter 7 bankruptcy within the past eight (8) years is not able to file again for this form of bankruptcy. New laws may also make it more difficult for people to file for a Chapter 7 bankruptcy. There are some debts that cannot be eliminated by filing for a Chapter 7 bankruptcy. Some of these include discharging support obligations such as alimony and child support, taxes, and student loans. Most other debts can be discharged upon the conclusion of the bankruptcy. A debtor’s responsibility to the creditors will end with a court-entered discharge order. A debtor will not need to repay the creditors once the discharge order has been entered. The only debts that will need to be repaid are those of non-exempt debts. A Chapter 7 bankruptcy will remain on a person’s credit history for up to a maximum of ten (10) years from the date the bankruptcy petition was filed. Individuals who seek a Chapter 13 bankruptcy must obtain credit counseling within 180 days prior to filing for this type of bankruptcy. If a person seeks to plan for debt management, this proposal must be filed as well. Both the proposed payment plan and the bankruptcy petition must be filed with the appropriate court. Chapter 13 payment plans will allow for installments made over a period of three (3) to five (5) years. To determine the amount of these monthly payments, the debtor must assess their income and assets. The amount of the payments will be based on the surplus of this assessment. With this, the debtor will be able to retain his or her property and other assets. A newly added supplementary evaluator is the U.S. Internal Revenue Service. In order to understand the extent of the IRS’ involvement, speak to a bankruptcy attorney near you. He or she will be able to provide you a list of what is expected when filing for a Chapter 13 bankruptcy. 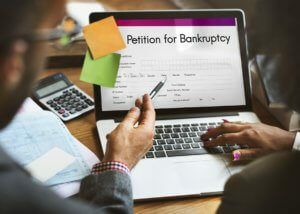 An individual cannot petition for a Chapter 13 bankruptcy if he or she has been discharged for a Chapter 7, 11, or 12 within four (4) years of the petition. Same goes if the debtor has been discharged of a Chapter 13 bankruptcy within the last two (2) years. Debts can be paid off partially or in full over a period of time given under the specific plan. There are certain debts that cannot be discharged under a Chapter 13 bankruptcy. Like Chapter 7, support obligations such as alimony, child support, and student loans cannot be eradicated by Chapter 13 bankruptcy. A debtor’s responsibility will also be eliminated once the court has entered a discharge order. This occurs once the plan has been completed. A debtor’s home will be conserved only if the repayment plan has been successfully completed and if there is not an extensive non-exempt equity. The home can also be protected under a homestead exemption or under marital ownership laws. There are certain law changes that apply to the protection of a person’s home. To understand the full extent of these legal changes, contact an experienced attorney. Similar to a Chapter 7 bankruptcy, a record of the bankruptcy will remain on a debtor’s credit history report for a maximum of ten (10) years from the date the bankruptcy was filed. A Chapter 13 bankruptcy can provide a better outlook to creditors in comparison to that of Chapter 7 filers. This is because the successful completion of the bankruptcy plan will mean that the debtor paid off more of their debt than those who file under a Chapter 7 bankruptcy.